The maximum reported size of the brown banded bamboo shark is 41 inches (104cm) total length. The shark starts of as a baby then a juvenile, teenager shark, and then a adult shark. 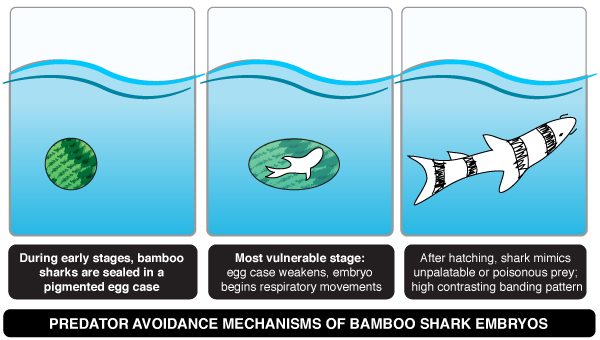 The bamboo shark adult lays its egg and surprisingly the baby shark can still use its electric fields when it is inside in the egg, when the baby shark uses its fields it freezes so the animal threatening the baby is less likely to get eaten by the predator.